I took a trip out to Three Lakes WMA a few weeks back on the MLK holiday weekend. It was my first visit to the area and definitely won't be my last. Three Lakes is located on the Kissimmee Prairie and is named for the three lakes that it borders. I parked in the small lot near the entrance and took a walk on the trail through the Palmettos. As I was returning to the parking area, I saw this male Eastern Bluebird land on a nesting box located just a few feet from the parking lot. The male scoped out the scene and gave the female the all clear signal. As the male kept an eye on things, the female appeared to be delivering a meal to the occupants of the box. 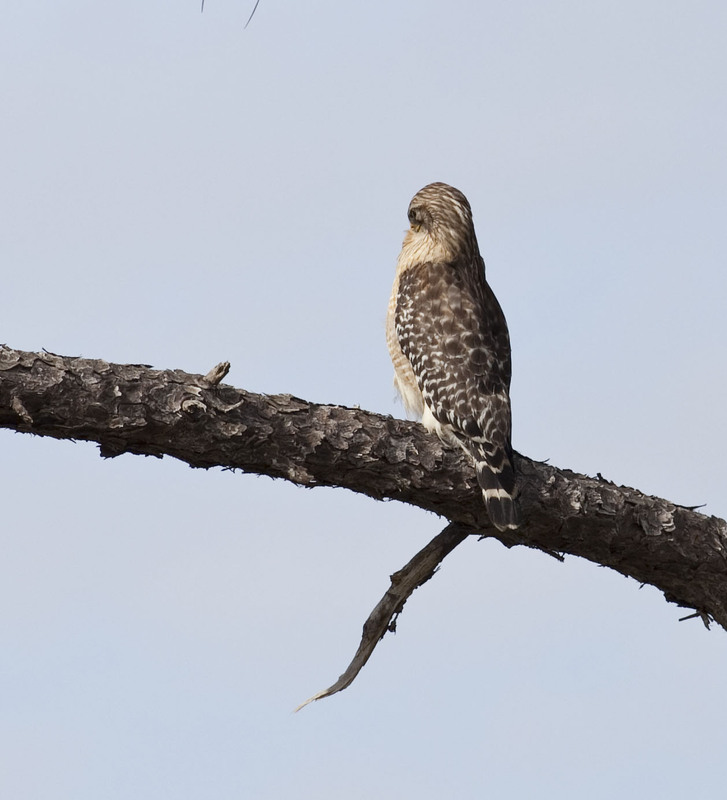 The pair stayed for a brief period then retreated back to a nearby tree. Since I arrived midmorning, I knew my chances of seeing a Red-cockaded Woodpecker weren't so good, and I was right. I did see a Red-bellied Woodpecker as well as a Yellow-bellied Sapsucker searching for some sap. I got a bit of a cold shoulder from a Red-shouldered. The drive to and from the area was also quite enjoyable. I saw quite a few raptors along the way, including this beautiful Eagle staked out near the road, just across the street from its nesting mate. I also saw two Crested Caracaras chasing one another. and your header is really FANTASTIC..... nice work again. Preciosas fotos y preciosas aves amiga Tammy. Love the eagle shot! I just can't seem to get any of those. Funny to see Bluebirds in the Florida scene there. I think of them as being such a snowy, winter bird this time of year. Of course, that doesn't stop Mockingbirds and others from enduring both. Lovely shots of the sapsucker and the bluebirds- what a change from your usual water birds! Magnificent pictures of the Nature, the miracle of the creation of new being, and the proudness of the beautiful eagle!!! great work Tammy!! Great shots Tammy. Love the Eagle shot, what a bird. Beautiful bluebird shots! I've only seen them once from far away. One of these days I need to make the drive over there. Amazing pictures of exciting birds that are unknown to me. To say you have access to many different species. Enjoyed the whole series!! Bluebirds so cool to see in Fl. what a variwty of different birds. Will have to check it out next time I'm up that way. I like that bald eagle! I changed my blog's name to: Caribbeanbiodiversity.com, in case you didn't know. I haven't seen a bluebird in a very long time. Beautiful shots! The eagle is just fantastic! Great photos of these special birds Tammy, very well photographed. What a beautiful bird and what a beautiful soft backgrounds. 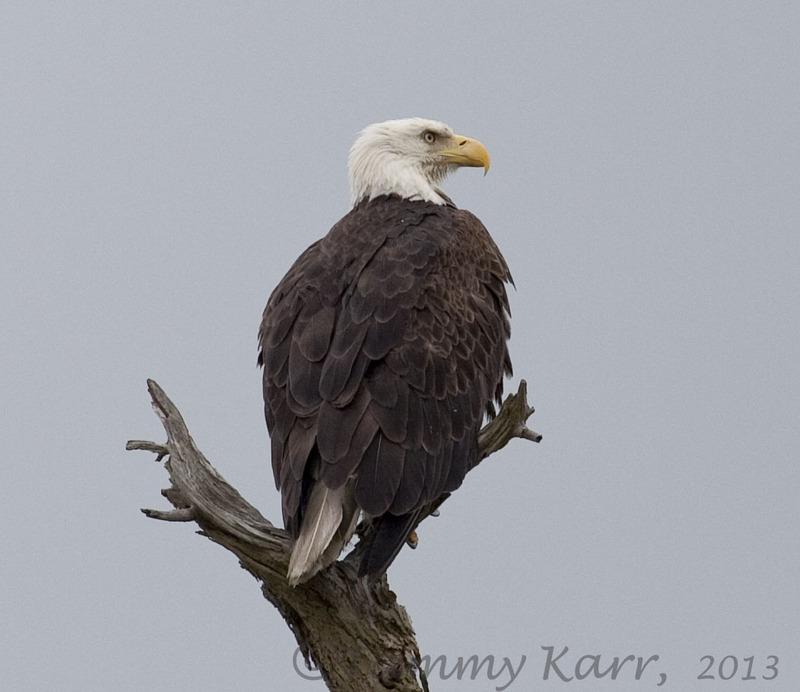 Awesome birds and beautiful photos, Tammy! The Bluebirds are one of my all time favorites. Oh you have my best friend as your header now....I am in love with Pelicans!! So cute. 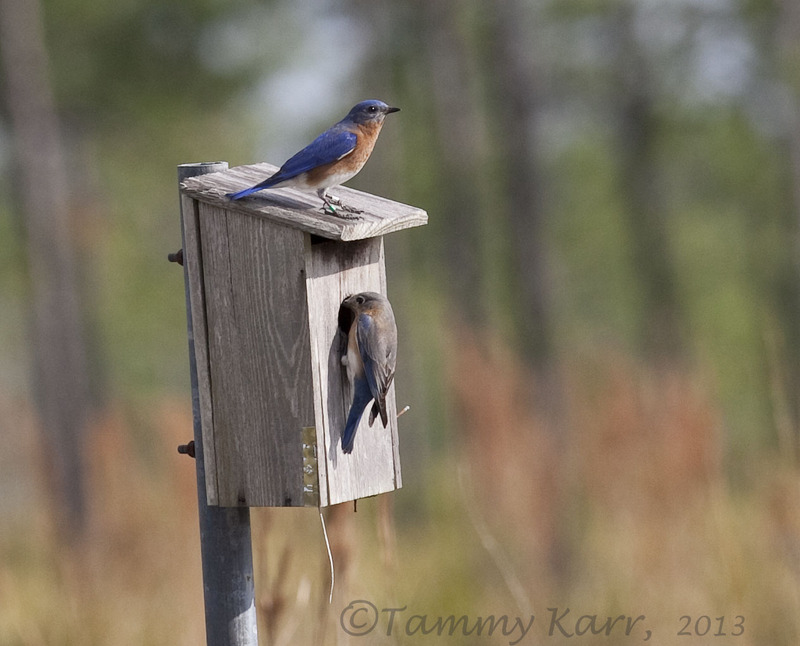 We have just started to re-introduce the Bluebirds here on this island...you got some good shots on this trip. thanks so much for coming to my blog Tammy. I appreciate it. 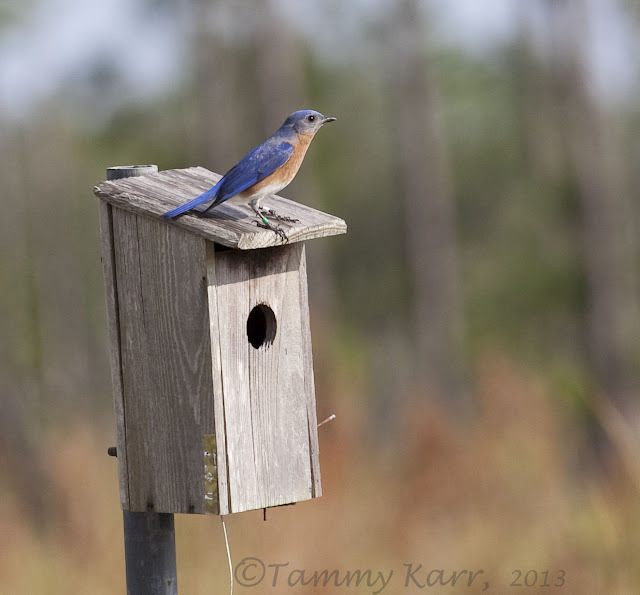 I so love seeing your Florida birds Tammy! Buenas tomas, Tammy, muy bello el color del plumaje de las aves en el nido y majestuosa la rapaz de la ultima foto. Lovely birds, the Bald Eagle, who is standing and watching everything, I love it, favourite. Bluebirds are always fun to see. Raptors are favorites for me. The cold shoulder Red-shoulder is pretty cool. Will always love the Bald Eagles, your photo is majestic. Thanks for stopping by and dropping a comment. 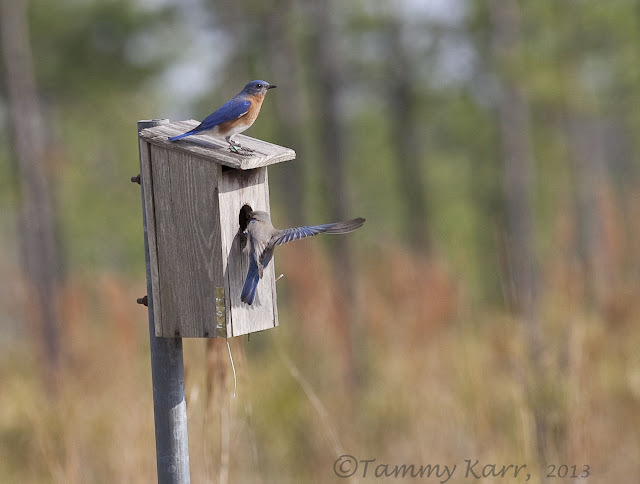 Those Bluebirds are so gorgeous! 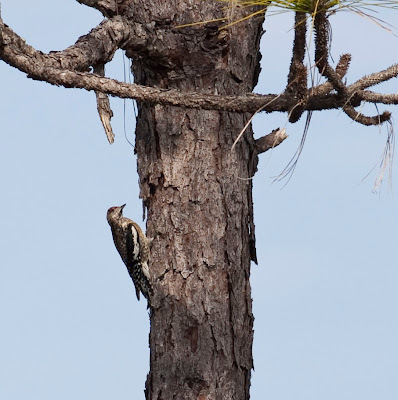 Brilliant pics of the eagle and I discover a bird I had no idea existed: the Sapsucker! I'd love to his face!! LOL! I would dearly love to see a Blue Bird. Great captures of the Blue, Eagle ans hawk. Enjoy the rest of your weekend, Tammy. Those are some wonderful birds. I saw a snowy owl the other day. Birds are such simple joy! I found my way here via Mia McPherson's blog. How beautiful to see the bluebirds in this setting. I've only seen Western ... not Eastern or Mountain.